Having spent many years developing her successful marketing strategies and sales systems, she has attracted many of the area’s top agents to her team. The Patti Mullen Group has grown to 4 agents and 4 licensed full-time administrative assistants, all focused on ensuring our clients get their homes sold. Associate Broker – Licensed in Michigan as an Associate Broker. Accredited Buyer Representative – True Buyer Representation (Buyer Agency) has been practiced in Michigan only since 1993. Prior to that, any agent that sold a home was technically working for the Seller. When laws were changed to provide Purchasers with equal representation, Patti took the lead in developing this new service. Fewer than 6% of Realtors® nationwide are Accredited Buyer Representatives. This means that while other Realtors® may act as Buyer Agents, Patti has been trained to fully represent her Purchasers with these new laws in place! GRI – Graduate, Realtor Institute – To achieve this designation, Patti Mullen demonstrated real estate proficiency in residential finance, fiduciary responsibilities, contracts, building types, land development, cost evaluation, professional standards, effective marketing, property management, investments, income analysis, and taxation. CRS – Certified Residential Specialist – Only 5% of Realtors® nationwide have earned this designation. Certified Residential Specialists are professionals equipped with advanced expertise in listing, selling, and investment. CRS professionals have documented results over a period of several years. 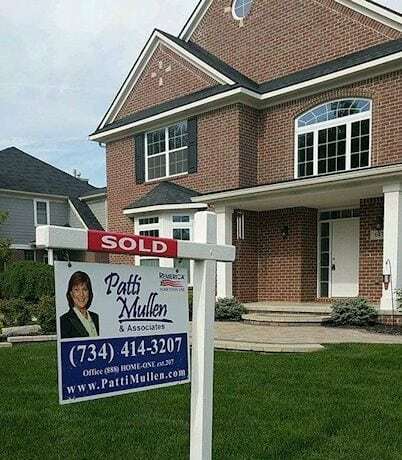 This expertise and experience provides security when you choose Patti Mullenas your Realtor®! Patti Mullen has been a successful Realtor for the last 25 years and is consistently Remerica Hometown One’s top producing agent. A long time Northville resident and Chamber of Commerce member, she is a huge supporter of the community and school system, sponsoring many local events and programs. 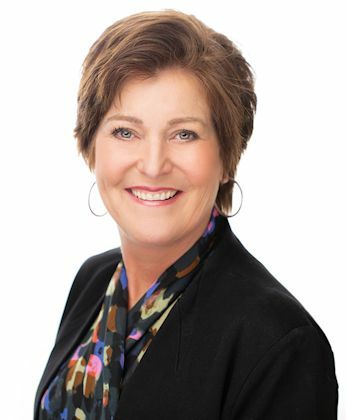 Patti has developed a solid reputation as the area’s leading real estate agent by always providing excellent customer service and through her extensive knowledge of current market conditions. Her service areas of expertise include Northville and Novi and the surrounding communities of Plymouth, Canton, Livonia and South Lyon. Pricing it right on the money! This is the second time we called on Patti Mullen to handle the sale of our home. Patti does an excellent job setting realistic expectations and providing resources to ensure a quick, and seamless sale. Patti responded quickly to all of our questions and keeps us in the loop with the market and activity. We couldn’t be more pleased. Thank You Patti! Simply put, Patti Mullen and her group are the best. Professional, knowledgeable, courteous, immediate responses, just overall impressive. Her sound advice has been spot on. We listed our home and received the perfect offer on the first weekend. Incredible! Also, Patti helped us with our next home, another new build in Canton. We have benefited from her many recommendations and suggestions. We couldn’t be more pleased. Thank You Patti! "Patti has a great feel for the residential real estate market!" "With nearly 10 homes listed for sale in our subdivision, Patti's strategy to showcase our home resulted in several offers to purchase on day one. Our experience with Patti and her team was outstanding. If you're looking to buy or sell, you cannot go wrong with Patti Mullen Group." "Patti always gave us her complete attention!" Patti knew exactly at what price to sell my house. We went through 2 agents before Patti, and with Patti, we signed the sales agreement in less than a week. I would recommend Patti to anyone. We will have Patti sell our next house also when the time comes. Sold a Single Family home in 2018 in Novi, MI. "Carol helped us buy a home and sell another in October, and the entire process was flawless thanks to her professionalism. In addition, her support team offered invaluable guidance every step of the way to the two closing dates. A first-rate team!" Her knowledge of buying/selling homes is superb!! "Patti was great to work with!! She was always prompt about returning our messages. Her knowledge of buying/selling homes is superb!! She made many good suggestions on how to get our property ready to sell, and negotiated a profitable selling price. We highly recommend Patti's real estate services!!" "Patti and her team sold our home in 1-day"
Patti was our agent for Saint Lawrence Estates. Patti and her team sold our home in 1-day. During this time we had a death in the family and Patti was wonderful in assisting us through the process. Patti and her team are so professional. We highly recommend Patti and her team! "Patti and team are nothing short of amazing!" "We both bought and sold a house with her and team. Above and beyond! Great attention to detail and we got great advice on both sides of the transactions." Patti and her team are fabulous! "They were always available for questions with quick turn times. We sold our home and bought our new home with them and had a great experience. Her negotiation skills helped us get the lot we wanted just in the knick of time." Above and beyond in ALL aspects! "Patti was the absolute BEST to work with when we purchased our new home in Northville. Her team went way above and beyond in ALL aspects of the purchase. Including answering questions and working with the buyer and their agent. Would have no problem recommending her to work with anyone looking to purchase a home in the Plymouth-Northville area."